Tennessee based five piece Pumpkinseed have been crafting soul infused rock and roll for the past few years, with their first release having been in 2016. Their latest album, Big Believin' Sky, will be released on June 15 and will be followed by a record release show at The 5 Spot in Nashville on June 20. The album's title track, "Big Believin' Sky," is a rollicking tune guided by a lively piano melody that remains constant throughout the song. A fresh take on nostalgic classic rock with modernized lyrics, vocalist Daniel Gardener demonstrates his vocal range without going overboard and allows his voice to fuse with the music rather than overpower it. The result? A sanguine, soulful bop with just the right amount of bells and whistles. Another stand out track is "Victoria," which again channels those classic rock influences with the driving force being the addition of brass -- think a modernized spin-off of The Band's 1975 hit "Ophelia." The addition of horns ties the entire album together and add a structural backbone that would otherwise not exist. Two purely instrumental tracks, "Verdancy Stalling" and "Blue John Bye" will make you want to groove to the music without leaving you bored. The former borders on ska territory, while the latter is a straight up jam session. 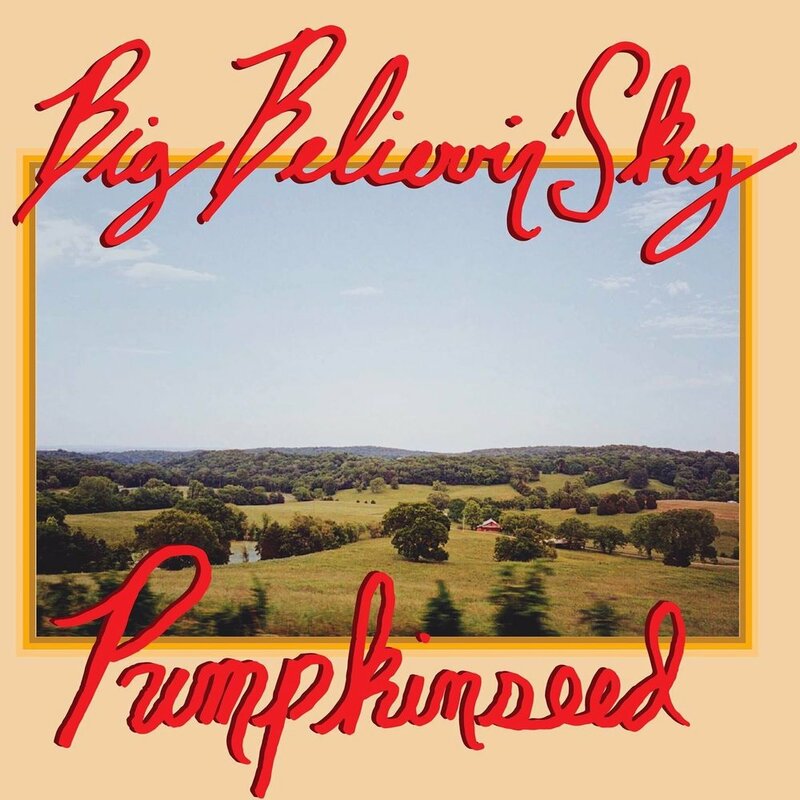 Witty, authentic lyrics are present throughout Big Believin' Sky, and pair well with Pumpkinseed's unique style which is a breath of fresh air in a sometimes overly saturated scene. While the album is sure to keep the listener on their toes, less bold tracks tend to be overshadowed by the ones that do take risks. With Big Believin' Sky being the bands third release, the album showcases their stylistic growth while maintaining their trademark sound. Stay up to date with Pumpkinseed on Facebook.